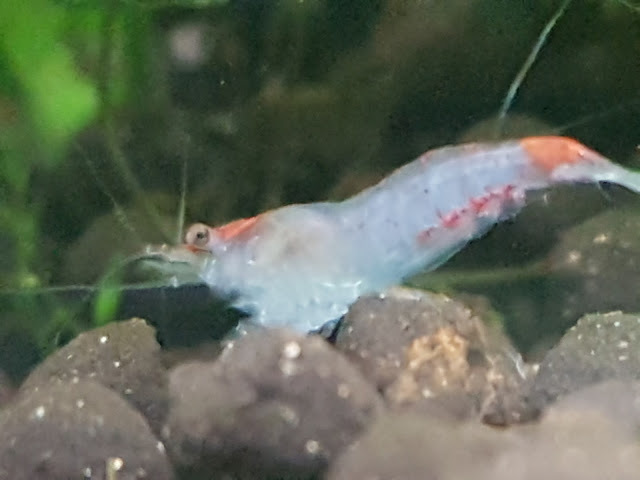 As of the time I started this blog, I'm 40 years old and new to aquariums, let alone shrimp keeping. I am NOT an expert by any means. I am learning as I go and enjoying every minute of it... and you get to follow along and learn with me. Take everything I say here with an appropriate grain of salt given my new-ness to the hobby. My wife and I have one Betta fish and plans for a 65 gallon aquascaped tank that she's in charge of and my shrimp that I'll be the primary caretaker of. I plan to keep and breed shrimp of at least 2 varieties, and document everything good and bad that goes on in that process here so that other new shrimp keepers can see just what they might be in for. I live in Canada, near Toronto, Ontario. This is, I think important to this endeavor as I'm already finding that many of the well known online sources for fish don't ship to Canada, and for similar reasons when I eventually get to the point where I have livestock to re-home, I will likely only be willing to do local pickup or shipping within Canada.